<h2>Under the Influence</h2> — Danielides Communications, Inc. Whereas Americans celebrate the birth of their nation on Independence Day, the French wear their drinking hats on Bastille Day, the day their country was conceived. 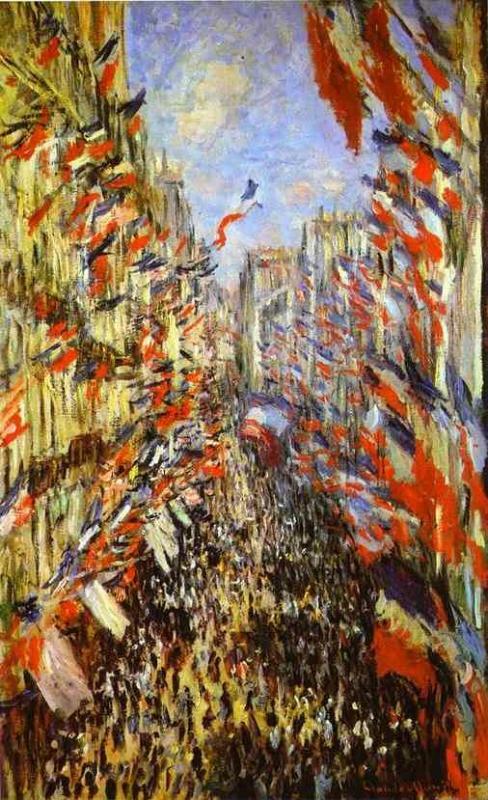 Bastille Day, or “La Fête Nationale” (The National Celebration), celebrates the storming of the Bastille prison, an event that catalyzed the French Revolution. The Bastille was a medieval fortress that symbolized the oppressive monarchy as it imprisoned those who voiced their opposition against the royal government. And so on July 14, 1789, the common people took matters into their own hands, stormed the Bastille, and voila – the French Republic was on the path to existence. The first Bastille Day celebration was held on July 14, 1790 a year after the fortress succumbed to the people’s insurrection. A giant four-day feast was held; imagine gastronomical pleasures ranging from Bordeaux wine to Brie cheese and perhaps as Marie Antoinette wished for her people, tons and tons of cake. Fireworks and naked-runs through the streets of Paris were also part of the celebration – with freedom in their grasp, the French people did not hold back on their festivities. In 1878, after nearly a hundred years of unofficial revelry and celebrations were widespread throughout France, Parisian government officers organized a celebration to honor the French Republic. The scene is immortalized in a Monet painting titled Rue Montorgueil. Finally in 1880, Bastille Day was mandated as a national holiday. The Bastille Day Military Parade also started from this year and continues to be held on the Champ Elysees to this day. Bastille Day celebrations across the US are just one of many ways Americans pay homage to our French connections. From croissants to haute couture, many aspects of French culture permeate our everyday lives. Perhaps the most renowned symbol of the French-American camaraderie is the Statue of Liberty, the 151-foot copper and wrought-iron statue who presides majestically over the Hudson River. Designed by French sculptor Frederic Auguste Bartholdi, she was dedicated in 1886 as a symbol of a lasting alliance and mutual dedication to freedom for all. The Statue of Liberty was a welcoming symbol for millions of people who emigrated through Ellis Island in the late 1800s and early 1900s, and she remains an instantly recognizable national icon. As New Yorkers glance at Lady Liberty on the horizon of the Hudson and East Rivers, and take part in Bastille Day celebrations, we channel the collective Francophile in all of us.